Take a look at an example ad. 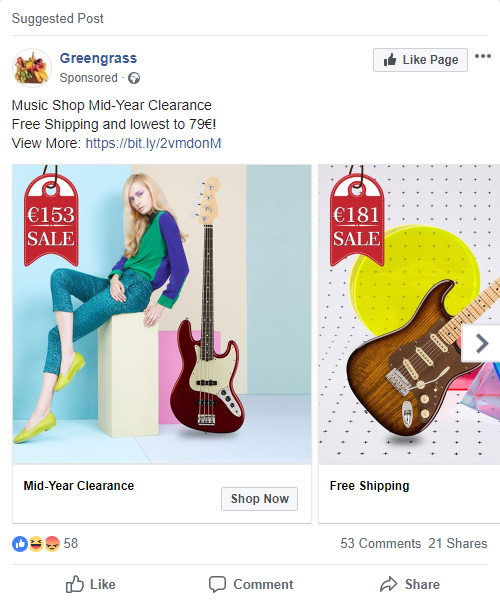 The web site that the link leads to offers Gibson guitars at unbelievable prices so perhaps you shouldn’t believe them. Still not sure? 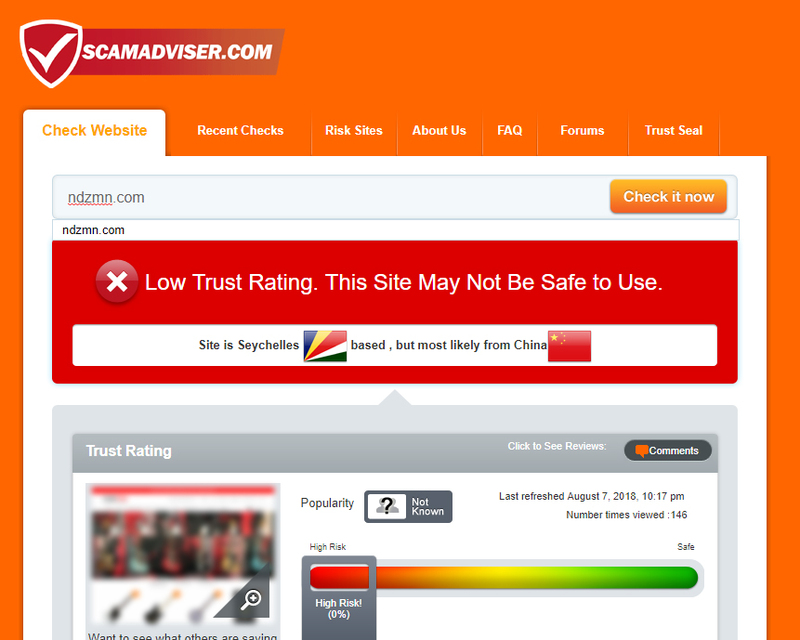 Check the web site address on a site such as scamadviser.com. Others are available. This site, ndznm.com, came up as less than 26 days old and 0% safe. It has been reported that when you try to purchase with your card it throws up an error but the scammers have what they were after, your card details. The site below isn’t showing the ultimate web site just a link on bit.ly so you will need to click on it to discover the real address. 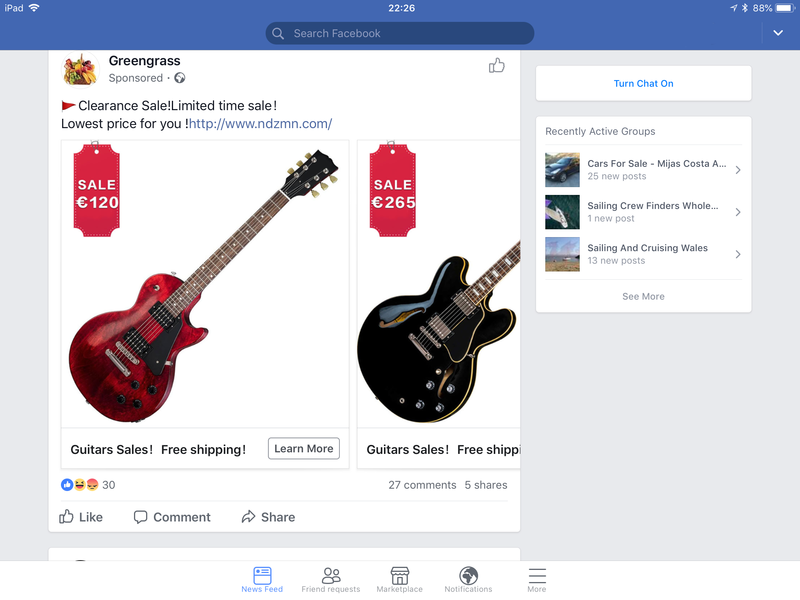 I’m sure these scams are not just on Facebook, the scammers have used email as a method to hook people and ads on other web sites. Be aware.